A simple exercise for beginners or weak learners in which students fill in the gaps using the Simple Present of verbs given in their positive or negative form according to the picture. The verbs are related to food and people's preferences. The above downloadable printable is meant for high school students, elementary school students and adults at Elementary (A1) level. 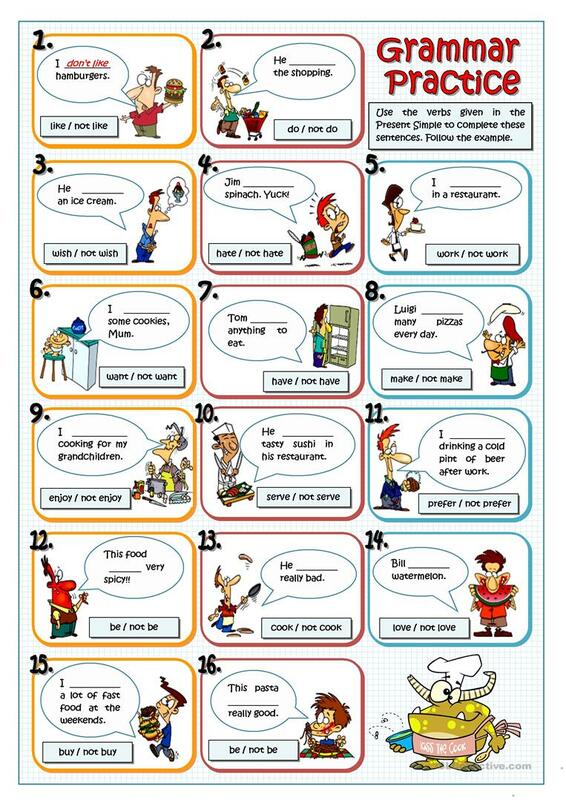 It is a useful material for revising Present simple tense in English, and is excellent for developing your students' Reading skills. It is about the vocabulary topic of Food.